Bausch & Lomb SofLens®59 contact lenses deliver clear vision with the everyday comfort you have been looking for. 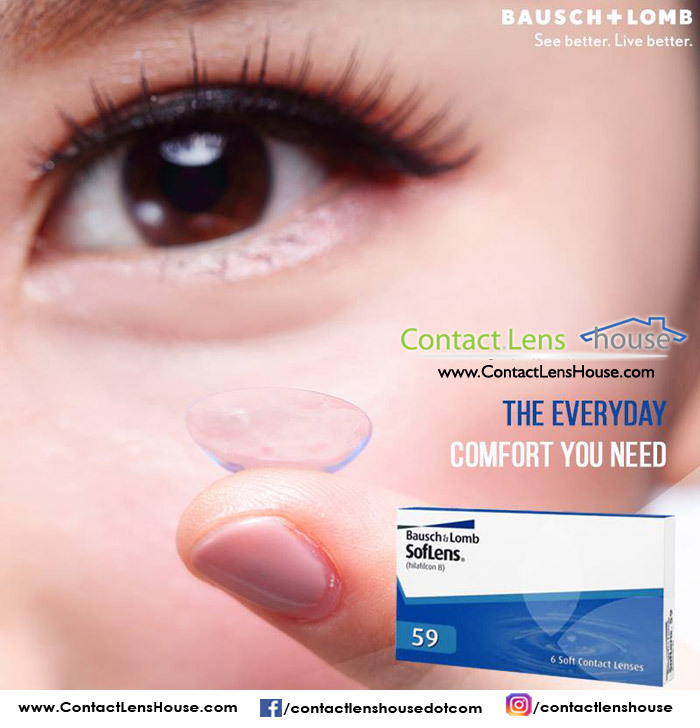 SofLens 59 is a monthly disposable contact lenses is a great choice for first-time users casuse it ensures perfect fit and provides long-lasting comfort and visual acuity. The most outstanding features of SofLens®59 is its UNIFITTM Comfort Design which ensure perfect fit all the time. This makes the lenses extremly easy to wear and remove. SofLens59 lenses are made from innovative 'Hilafilcon B' material that minimizes protien build-up and promotes healthy contact lens wear. Your eyes will stay fresh even after long days because SofLens®59 boast a 59% water content which provides abundant of moisture to the lens.